Girl Power: On the Court! 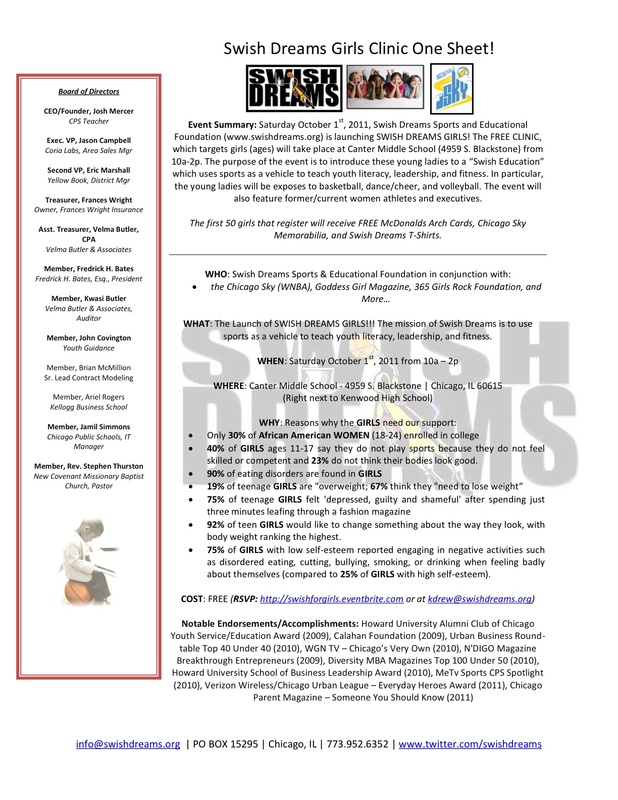 Swish Dreams is one of our favorite charitable organizations. The mission, the purpose, and the execution are unmatched. This organization puts education and sports right where they need to be--as the priorities of grammar school children. Previously geared to young boys, the program is now expanding to young ladies! How exciting!! 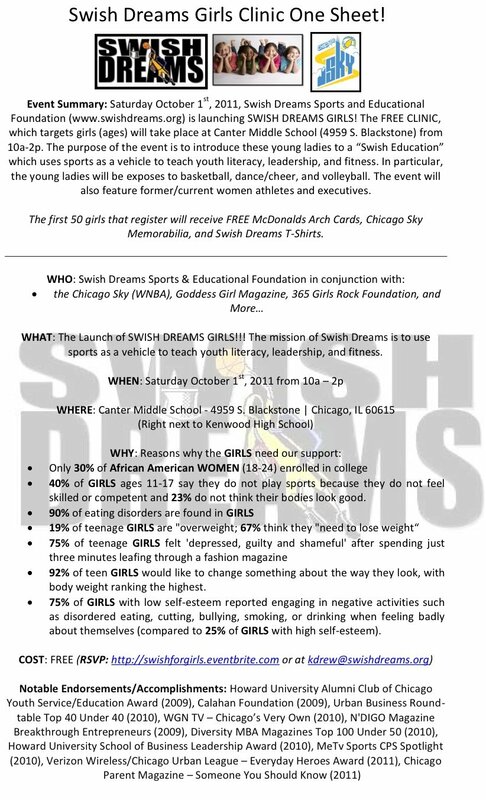 Check out this amazing program sponsored by Swish Dreams and the Chicago Sky....learn....contribute....and if you can, register your future star! For photos of the girls' after school program, click here!